Jonathan P Konecny DC, D.C.
Jonathan P Konecny DC, D.C., is a chiropractor located in Bridgeport, CT. Techniques: • Activator Methods • Diversified • Flexion-Distraction • Trigger Point Therapy Take the next step and contact Dr. Jonathan P Konecny DC, D.C., for a consultation in Bridgeport, CT or to get more information. Tricia Collins, D.C., is a chiropractor located in Bridgeport, CT. Take the next step and contact Dr. Tricia Collins, D.C., for a consultation in Bridgeport, CT or to get more information. Frank Zolli, D.C., is a chiropractor located in Bridgeport, CT. Take the next step and contact Dr. Frank Zolli, D.C., for a consultation in Bridgeport, CT or to get more information. Edward L Martin, D.C., is a chiropractor located in Bridgeport, MI. Techniques: • Pierce • Activator Methods • Palmer Package • Nimmo Take the next step and contact Dr. Edward L Martin, D.C., for a consultation in Bridgeport, MI or to get more information. Ralph A Santora, D.C., is a chiropractor located in Bridgeport, CT. Techniques: • Diversified Take the next step and contact Dr. Ralph A Santora, D.C., for a consultation in Bridgeport, CT or to get more information. Christopher Rickard, D.C., is a chiropractor located in Bridgeport, CT. Techniques: • Activator Methods • Diversified • Sacro Occipital Technique • Acupuncture Take the next step and contact Dr. Christopher Rickard, D.C., for a consultation in Bridgeport, CT or to get more information. Kristen A Kaczanowski, D.C., is a chiropractor located in Bridgeport, CT. Take the next step and contact Dr. Kristen A Kaczanowski, D.C., for a consultation in Bridgeport, CT or to get more information. Thomas M Chames, D.C., is a chiropractor located in Bridgeport, TX. Take the next step and contact Dr. Thomas M Chames, D.C., for a consultation in Bridgeport, TX or to get more information. Noel Thompson, D.C., is a chiropractor located in Bridgeport, CT. Take the next step and contact Dr. Noel Thompson, D.C., for a consultation in Bridgeport, CT or to get more information. Marie S Mason, D.C., is a chiropractor located in Bridgeport, WV. Take the next step and contact Dr. Marie S Mason, D.C., for a consultation in Bridgeport, WV or to get more information. Victor M. Ribeiro, D.C., is a chiropractor located in Bridgeport, CT. Take the next step and contact Dr. Victor M. Ribeiro, D.C., for a consultation in Bridgeport, CT or to get more information. 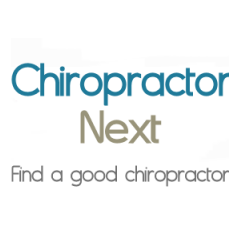 Merrill T Slaven, D.C., is a chiropractor located in Bridgeport, MI. Techniques: • Thompson • Diversified • Activator Methods • Toggle Recoil Take the next step and contact Dr. Merrill T Slaven, D.C., for a consultation in Bridgeport, MI or to get more information. Alice Barone, D.C., is a chiropractor located in Bridgeport, CT. Techniques: • Applied Kinesiology • Diversified Take the next step and contact Dr. Alice Barone, D.C., for a consultation in Bridgeport, CT or to get more information. Michael Ielapi, D.C., is a chiropractor located in Bridgeport, WV. Take the next step and contact Dr. Michael Ielapi, D.C., for a consultation in Bridgeport, WV or to get more information. Mike Mason, D.C., is a chiropractor located in Bridgeport, WV. Take the next step and contact Dr. Mike Mason, D.C., for a consultation in Bridgeport, WV or to get more information. Kellie J Lancaster, D.C., is a chiropractor located in Bridgeport, TX. Take the next step and contact Dr. Kellie J Lancaster, D.C., for a consultation in Bridgeport, TX or to get more information. Glenn A Chasanoff, D.C., is a chiropractor located in Bridgeport, CT. Techniques: • Activator Methods • Diversified • Trigger Point Therapy • Acupuncture Take the next step and contact Dr. Glenn A Chasanoff, D.C., for a consultation in Bridgeport, CT or to get more information. Scott K Romesburg Jr, D.C.
Scott K Romesburg Jr, D.C., is a chiropractor located in Bridgeport, WV. Techniques: • Diversified • Gonstead • Activator Methods • Cox Take the next step and contact Dr. Scott K Romesburg Jr, D.C., for a consultation in Bridgeport, WV or to get more information. Devin Beach, D.C., is a chiropractor located in Bridgeport, CT. Take the next step and contact Dr. Devin Beach, D.C., for a consultation in Bridgeport, CT or to get more information. Paul G Carpenter, D.C., is a chiropractor located in Bridgeport, CT. Take the next step and contact Dr. Paul G Carpenter, D.C., for a consultation in Bridgeport, CT or to get more information.